There lots of great ice being reported in Maine today. 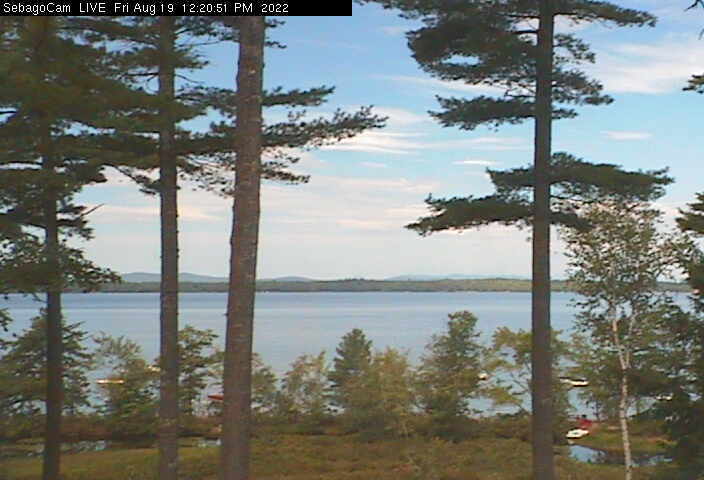 Thompson Lake in Oxford, just north of Sebago was new black ice, and just over the ridge Jordan Bay has come in. Both have 3-4″, both were skated on this lovely windless day, and both will be deluged for the next two days. The good news is that the coming rain will wet out the snow on the well frozen lakes and probably freeze up again Wednesday night.  We’ll be checking Damariscotta late Wednesday in anticipation. 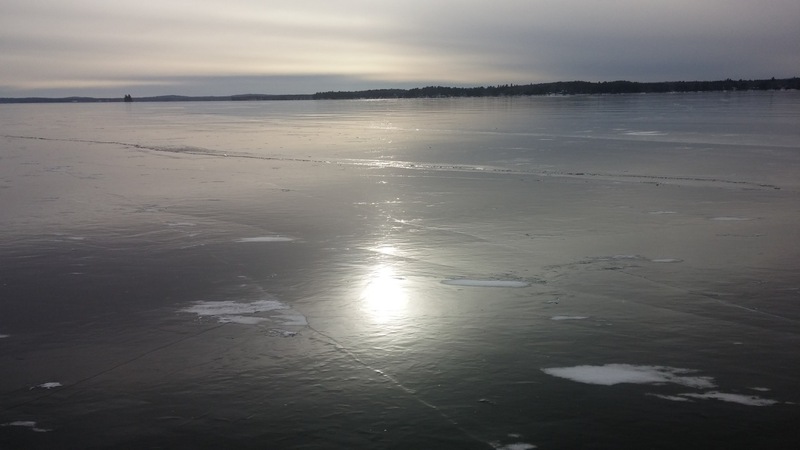 What happens to all the new ice with rain and forty degrees might not be a pretty picture. Here’s Jordan Bay today, looking south to Squaw Island. Pat Keely and Nate Andrew skated a good part of it and report no pressure ridges and only a few small cracks. Sounds like just the kind of plate Lee and I should be sailing. Thanks for the photo, Pat! 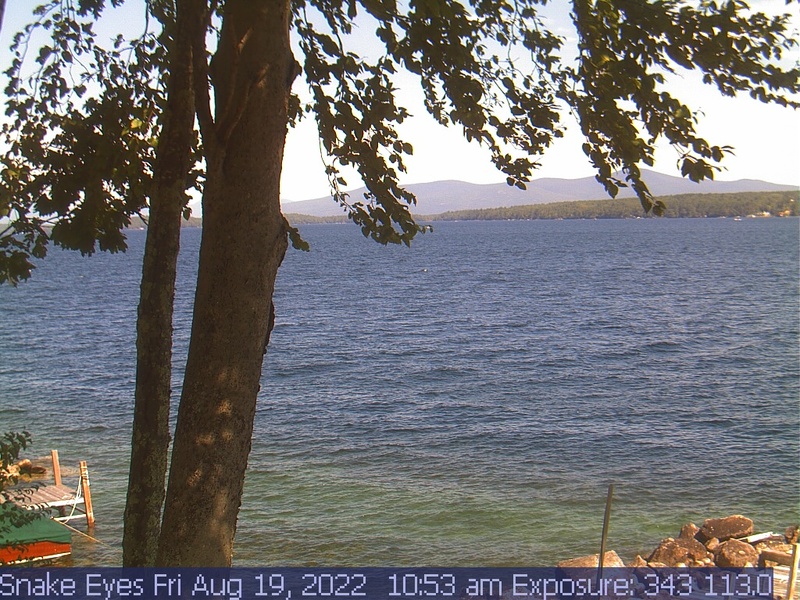 Calm winds on Winnipesaukee today kept boats safely close to shore. The Bean Pot Regatta was a bust, but not for lack of trying. Forecast there now indicates more snow than rain.